...and European-style desserts in a casual, neighborhood setting. Located in Central New York, Eva's European Sweets has been the home for Authentic Polish cuisine for 21 years. 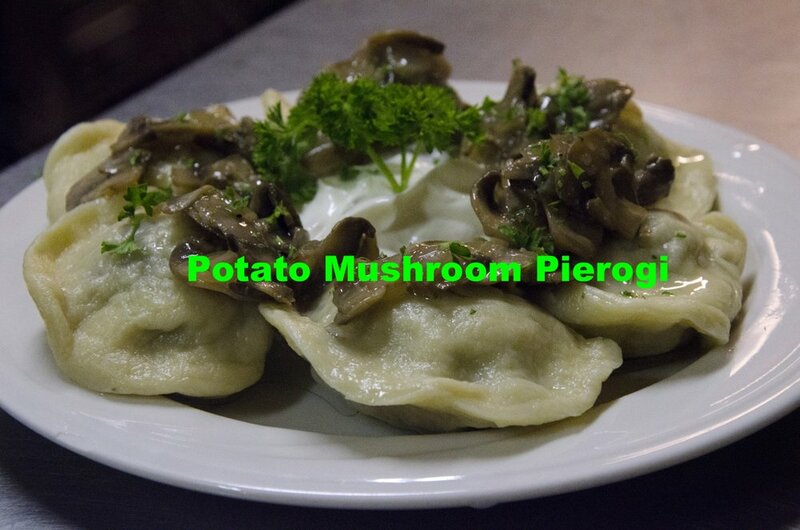 We're open for lunch and dinner Tuesday through Saturday, featuring a selection of authentic Polish dishes made daily from the freshest of ingredients. 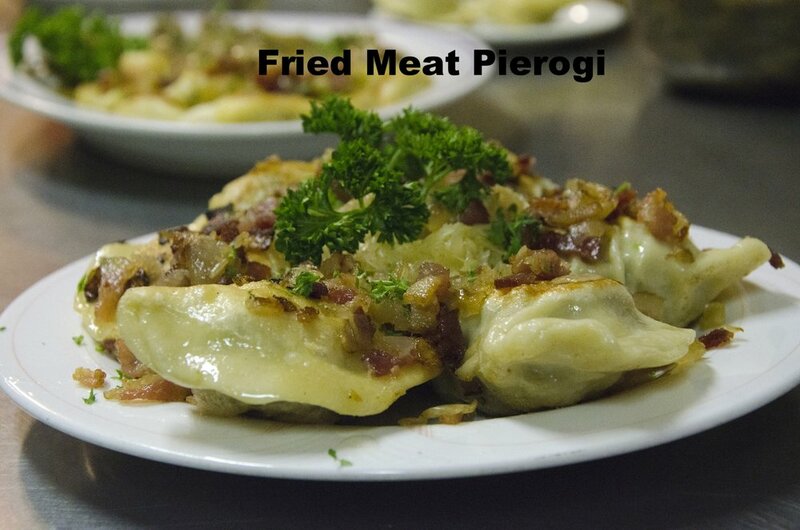 From pierogi to bigos to a Hungarian take on traditional placki, each meal is made individually with careful attention to the flavors and traditions of Polonia. Don’t forget to check out our dessert case as you walk in – it’s full of homemade cakes, pies and cheesecakes. There’s no dessert menu. Just take a peek and we’re pretty sure you’ll find something that catches your eye. If you’re too full, take a piece home! Eva’s also has an extensive list of Polish and Eastern European beer. Fourth of July, as hours vary. Below are Pictures of some of the MANY Desserts Eva Makes. Our Desserts have a daily rotation of assortment! Whole Cake $40 Whole Pie $18 Please Call and prevorder if you’d like a whole Dessert 2-3 days advance. A mix of romaine and iceberg lettuce, red cabbage, red onions and carrots, topped with cherry tomatoes and bacon. Dressing Options-- Homemade Garlic Vinaigrette, Italian, Ranch, Creamy Blue Cheese, French and Russian. 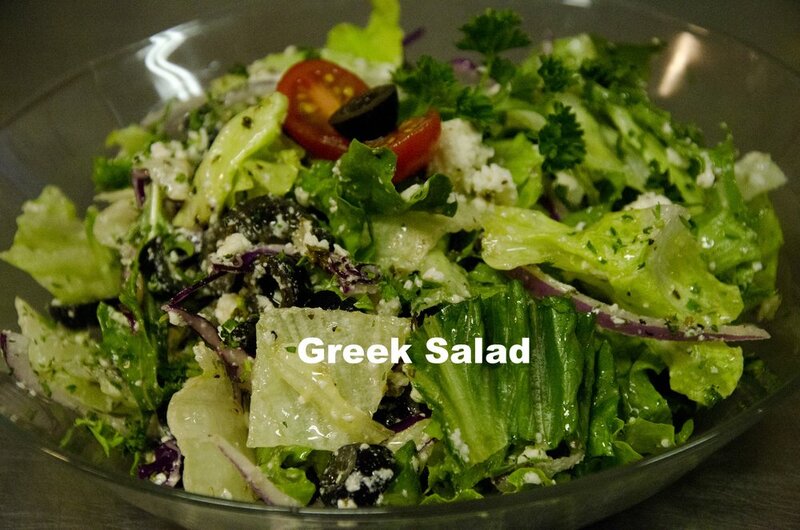 A mix of romaine and iceberg lettuce, red cabbage, red onions, black olives, Feta cheese and our House garlic vinaigrette. Freshly shredded leek, apples and carrots mixed in a light, creamy dressing. Freshly shredded red cabbage, carrots and apples, mixed with parsley and red onions mixed in a light, creamy dressing. Thinly sliced cucumbers in a sour cream dressing, served over butter lettuce. Sweetened shredded carrots marinated with garlic and coriander. Fried kiełbasa with sautéed onions OR sauerkraut (50¢ extra for both) served on a sub roll. Served warm with melted Swiss cheese & sauerkraut and Russian dressing. Served warm with lettuce, tomatoes, onions, sliced dill pickles and mayonnaise. With Swiss cheese, fresh spinach, sliced apples and homemade cranberry mayonnaise. Flaked tuna with spinach, tomatoes, Feta cheese, red onions, red roasted peppers, black olives & garlic vinaigrette. Mixture of tuna, celery, carrots & mayonnaise with lettuce, American cheese, sliced apples and walnuts. Baked ham and smoked turkey, with American cheese, fresh spinach and apricot mustard. Ham, turkey, spinach, Feta cheese, red roasted peppers, black olives and garlic vinaigrette. Served on a sub roll. Ham, American cheese, bacon, red roasted peppers, red onions & hot peppers. Served warm or cold. Artichoke hearts, sun-dried tomatoes, roasted red peppers, lettuce, tomatoes, swiss cheese and pesto mayonnaise. Topped with sautéed onions & butter. Served with sauerkraut. Topped with sautéed mushrooms, onions & butter. Served with sour cream. Topped with sautéed onions, bacon & butter. Served with sauerkraut. Farmer's cheese & onions. Topped with sauteed onions. Served with sour cream. Farmer’s cheese, vanilla sugar & orange zest. Topped with melted butter, cinnamon, sugar & raisins. Served with sour cream. Cabbage rolls stuffed with ground beef and rice in a homemade tomato sauce. Fried kiełbasa with onions, seasoned potatoes & choice of sauerkraut, red cabbage OR cabbage with beans and carrots. Fried kiełbasa with onions OR sauerkraut. (50¢ extra for both) Served with bread and butter. Three Potato Pancakes stuffed with seasoned ground beef. Topped with your choice of a smokey tomato sauce or a creamy mushroom sauce. Pasta-like potato dumplings served with Parmesan cheese, butter and sour cream. Potato dumplings lightly pan-fried with bacon and onions and served with sauerkraut. Beef stew (Goulash) served with seasoned barley. Served with sauerkraut OR red cabbage OR cabbage with beans and carrots. Two well-seasoned ground beef cutlets (prepared w/sautéed onions) Served with pan-fried potatoes and your choice of sauerkraut OR red cabbage OR cabbage with beans and carrots. Two freshly breaded chicken cutlets served with pan-fried potatoes and your choice of homemade beet salad OR red cabbage. Two well-seasoned pork cutlets served with seasoned pan-fried creamer potatoes, apple sauce and a cucumber and tomato salad as well as a choice of sauerkraut, red cabbage OR cabbage with beans and carrots. "5 Secrets to Success from Eva as her Polish Restaurant in Solvay Turns 20"
"Philanthropic Foodies: Eat and drink for a good cause this weekend"
"Best restaurants for the perfect graduation dinner"
"Philanthropic Foodies: Syracuse's chef-based fundraiser gets bigger and better"
"Eva’s European Sweets offers taste of Poland with simple dishes, desserts"
"Syracuse Polish Fest comes to Clinton Square this weekend." Learn how to properly pronounce popular Polish dishes! "How do you like your goulash -- American or European? A CNY Food Fight"
Food Network airs the "Eurocentric" episode of Diners, Drive-ins and Dives! "Wrapping up Guy Fieri's Syracuse tour: Food Network to air segment on Eva's European Sweets Feb. 25"
"Dining Out: Eva's serves up heavenly Polish fare in Syracuse"
"Food fests in Syracuse: Polish and Greek"
Send us a message and lets us know your experience!